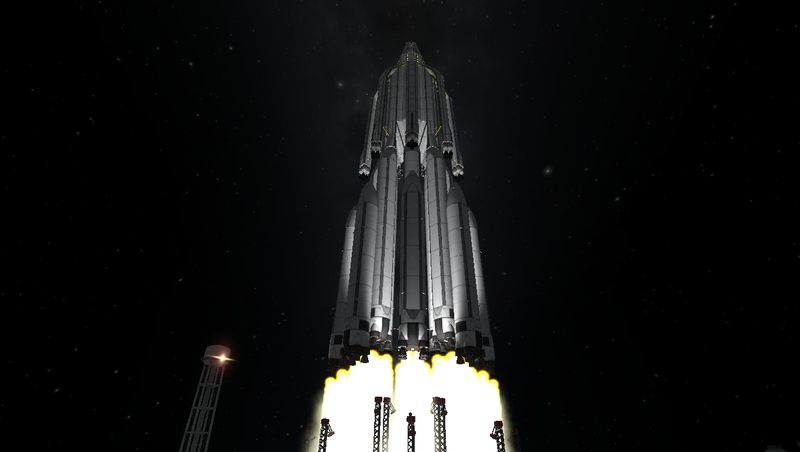 Before launch: 680 parts Total Mass: 3203t Mass: 594t. 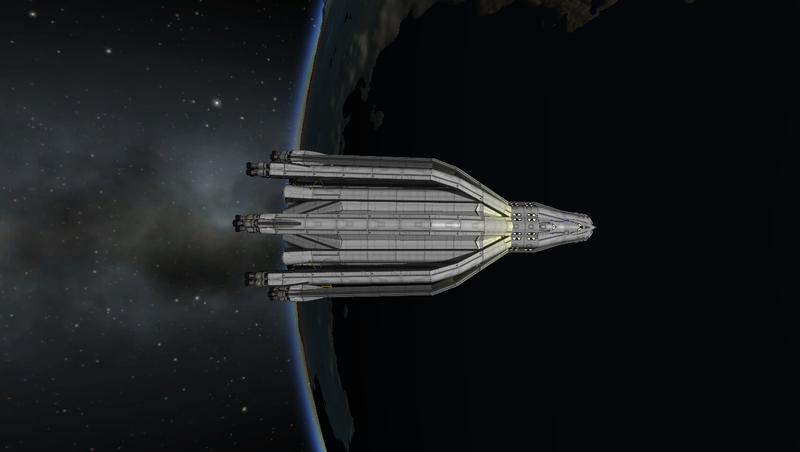 Delta-V: 7605m/s Length: 45m. 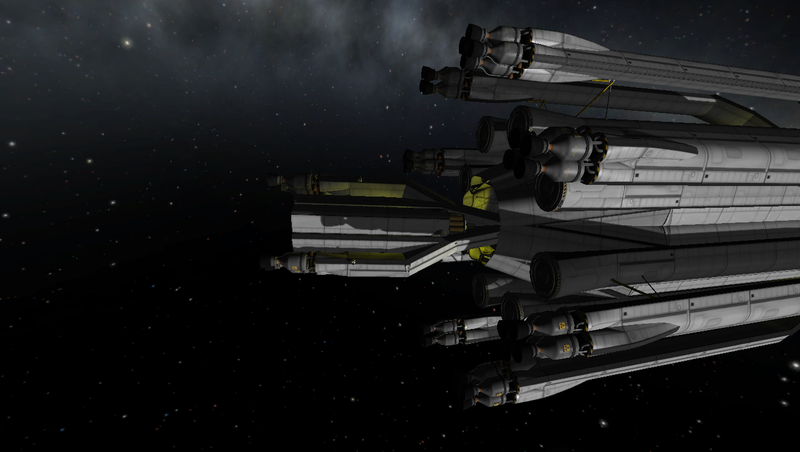 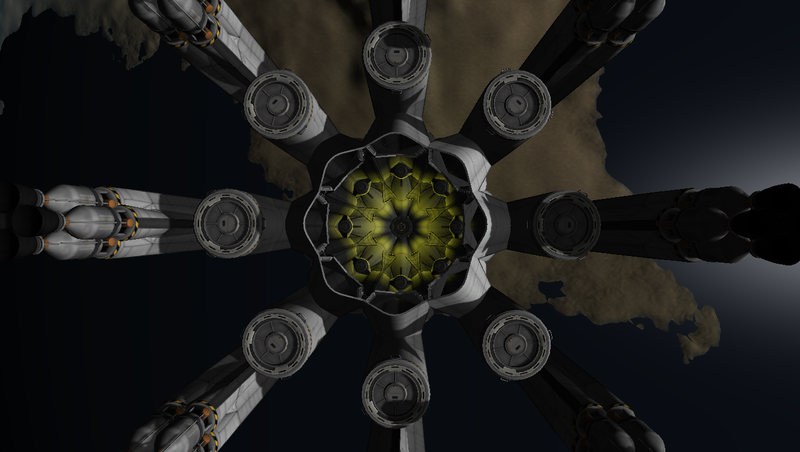 TWR: 0.33/0.88 4+70 seats 1x 2.5m docking port in cargo bay 8x 2.5m docking port at rear 8x 1.25m docking port in cargo bay Built in the VAB in KSP version 0.90.0.